Relay Type Voltage Stabilizer is one kind of our competitive products; consist of multi-tap auto Transformer, Power relay circuit, Microcontroller based control circuit and LCD display circuit. When the voltage fluctuates or the load varies, automatic measurement/control circuit will send signal to Power Relays, then the output voltage will be adjusted to rated value and get a steady state. Relay Type Voltage Stabilizer is general type, it has the advantage of great variety, complete specification, nice appearance and obvious features of high efficiency, no wave distortion, reliable performance, working continually for long time. This product is an ideal stabilized voltage supply, widely used in any locations requiring electricity and ensures your power device can run normally. it is really an economical product with high ratio of performance and price. The Microcontroller based relay type voltage stabilizer intuitively manages and performs a variety of functions while regulating the output voltage. Fast, accurate and reliable measurements are provided and displayed via 2*16 character LCD display for input voltage, output voltage, output current, % loading and frequency. Also there were three LED visual display indicating power ON/OFF, output ON/OFF and finally warning LED. 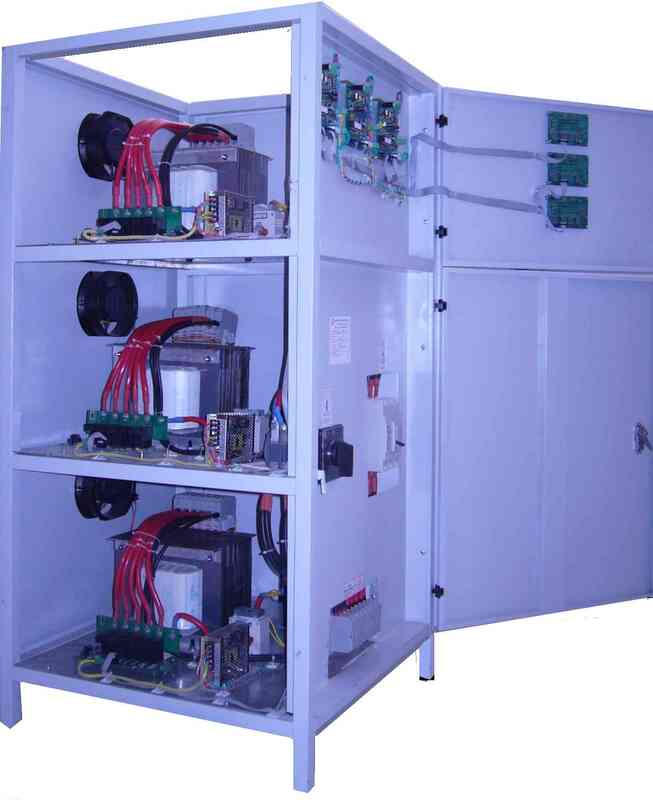 System protection alarms include: over voltage, under voltage and overload protection. Installation is quick and the savings are immediate with relay type voltage stabilizer.